There is so much free education at CMHA. Which is right for you? CMHA offers free courses and support groups to help people recognize and develop their own resourcefulness and awareness as they support themselves or their loved one’s well-being. All of our courses and groups are a partnership between compassionate CMHA facilitators, many of whom identify as peers, and participants who are experts by experience! Everyone – family, friends, caregivers, professionals and the general public – is welcome to attend our free courses and support groups on recovery and wellbeing. No previous experience or education level is required. You can read more about CMHA education at www.reddeer.cmha.ca/learning. You can register for courses on-line by going to http://reddeer.cmha.ca/events/, choosing the start date for your course from the calendar, and completing the registration form on the event page for your class. As always, you can call us at 403-342-2266 for more information or to register by phone. 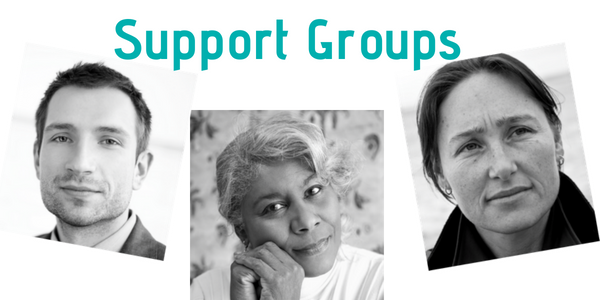 No registration is needed for support groups though many people call us before attending for the first time. Art of Friendship is an eight-week Canadian Mental Health Association course. Meet new friends. Learn new skills. Make new community connections. Build self-confidence. Reduce loneliness and laugh more. Topics will include tolerance, healthy boundaries, values, trust, responsibility and commitment. This course is for anyone aged 16 and older. 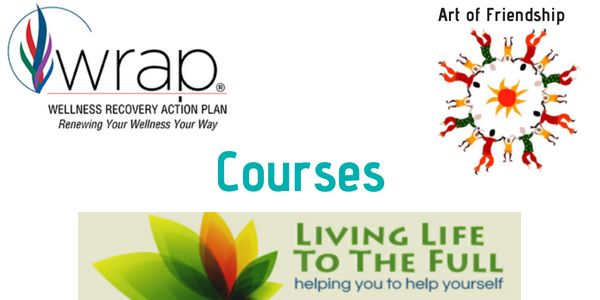 WRAP™ is an eight-week course designed to identify what individuals and families need for everyday wellness. Participants will develop skills and tools to improve day to day life, meet daily challenges, avoid crisis, and promote mutual cooperation in families. The course is open to teens with an adult participant as well as any individual over the age of 18. 12 hours that can change your life! Want to know how to feel happier, more confident and worry less right now? Would you like to learn new ways of dealing with what life throws at you? Living Life to the Full is an enjoyable and an interactive course that will help you understand your feelings, thoughts and behaviors, and what to do about them! Friendship Circle provides opportunities to develop and strengthen relationships, participate in community life, and enhance leadership and mentoring abilities. You can expect to improve your physical, mental, emotional, social and spiritual health; create a sense of inclusion and belonging; counteract the effects of stress and become more resilient. In Friendship Circle we nurture healthy habits through creativity and fun. Together we build self-awareness, acceptance, gratitude, positive self-regard and unity; and outreach for stigma busting and transformation. We encourage you to call us before dropping in for the first time. Many parents and caregivers may be concerned about the well-being of a person with a mental health concern (including addictions). They may have a difficult time coping and feel isolated and even fearful. With the support of trained peers with lived experience and compassionate CMHA staff, parents and caregivers will learn how to best take care of themselves, ask for help when necessary and develop skills and wellness tools. Caregiver Connections is a safe place to gather together for shared stories, networking, education, resources, and support. Unless otherwise noted, our free courses and support groups take place at the CMHA Learning Annex: #404, 4911 51st Street, Red Deer, AB T4n 6V4.